Got to hand it to ya, its a pretty solid pair of shoe and the design is a classic which means its very versatile. The cloudfoam it self is quite thick so it can be a little tight for some wide footers. But the cloudfoam is extremely soft and comfy to wear for a long amount of time. 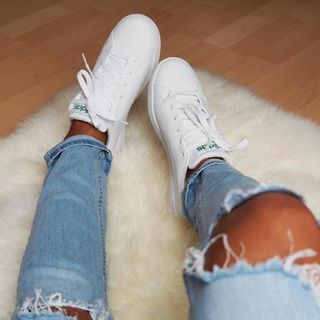 The white and green colorway is definitely the best alternative for the adidas stan smith. The leather is pretty hard at first so u really need to break it in before it becomes comfortable. The shoes is comfortable and nice.